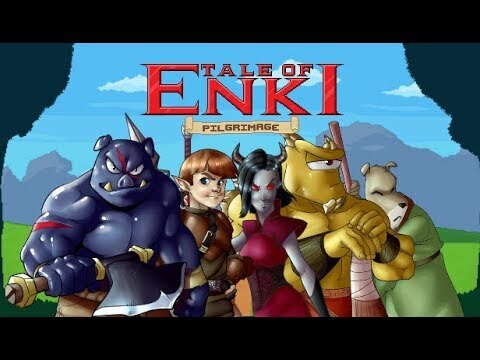 Tale of Enki: Pilgrimage is a story-driven RPG that tells the tale of a young Ogre, Gargan, who's kicked out of his house by his father for being a layabout. Gargan is determined to prove to his father that he's a true Ogre and sets off on a journey across the country to retrieve a relic from an ancient Ogre hero. Gargan is joined on his journey by: Rook the aspiring paladin, Drusilla the cruel demon witch, Twostone the rocky cyclops hermit and Ka-gu the reformed villain and current necromancer. They all have their own reasons for joining the journey, but it's never smooth and they don't always get along too well. Tale of Enki: Pilgrimage is a turn-based RPG with no random battles! 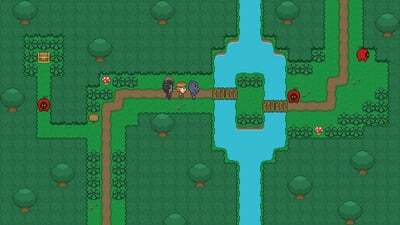 It has influences from both Western and Japanese role-playing games as well as influences from classic pen and paper games like Dungeons and Dragons. Character-driven plot that won't have you saving any worlds for a change. Fast-paced battles using our custom Stamina system that lets you take multiple attacks per round. Over 120 pieces of equipment to use ranging from swords to spells to armour. Over 50 enemies and bosses to slaughter along your journey from bugs made of fruit to demon lords to the ghostly spirits of your ancestors. Dozens of quests where you can help the good folks of the land or abuse your power. 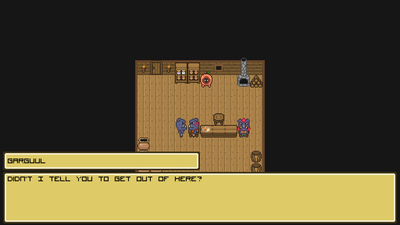 Original art and story all put together in our custom engine.